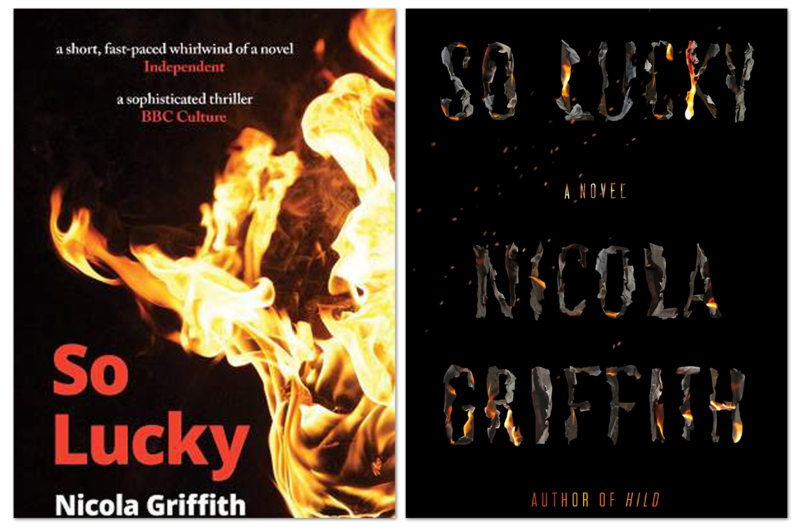 Four bits of So Lucky info including award news, academic criticism, and a new UK edition. On Wednesday April 18, with artist Riva Lehrer, I’ll be giving the Ethel Louise Armstrong Lecture on Disability Arts and Culture at Ohio State University’s 18th Annual Multiple Perspectives Conference at 3:45pm. On Saturday, July 23, at 4 pm Pacific/7 pm Eastern, I’ll be co-hosting the first #CripLit Twitter Chat with Alice Wong of the Disability Visibility Project (@DisVisibility). I hope you can join us. I’ve never hidden the fact that I have MS but today I’m coming out as a cripple—claiming my identity as disabled. Using lame as a derogatory term is as dangerous and ill-considered as using the term gay in the same context. I know. I’m both: I’m a dyke and I have MS. I walk with elbow crutches. I am, literally, lame.